The global obesity epidemic has led to dramatic increases in the incidence and prevalence of type 2 diabetes mellitus (T2DM) among youth worldwide. 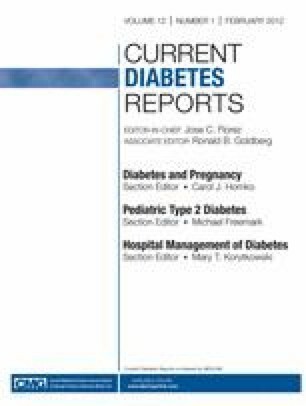 In today’s clinical practice it has become increasingly difficult to distinguish type 1 diabetes mellitus (T1DM) from T2DM as many children with T1DM are overweight at diagnosis. Numerous recent publications note a significant proportion of physician-diagnosed T2DM youth with evidence of pancreatic autoimmunity, exemplifying the challenges in distinguishing between T1DM and T2DM. The clinical implications of the phenomenon of antibody positivity in phenotypic T2DM youth, also referred to as “type 1.5 diabetes” (T1.5 DM), “double diabetes,” “latent autoimmune diabetes in youth” (LADY), and “hybrid diabetes,” are unclear at present. Current and future work should determine if the presence of autoantibodies in phenotypic T2DM youth/children affects clinical course; this will facilitate the development of optimal treatment strategies. Conflicts of interest: A. Badaru: none; C. Pihoker: has received grant support from the Centers for Disease Control and Prevention/National Institute of Diabetes and Digestive and Kidney Diseases.